This is an astonishingly successful effort by an adult to describe what it must be like to experience war and what it's like to be a refugee from the perspective of a child. An amazing story in only a few pages. 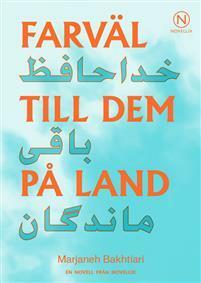 This is one of a series of four short stories published by Novellix and Hallpressen under the title "Eller sjunk i havet" (also the tile of one of the four stories). Ack så aktuellt. En inblick i flyktingkrisen. En lättläst, fin och sorglig novell om flykt från ett land ur ett barns perspektiv.